Enjoy free dancing, dance lessons, and dance shows right under bustling Robson Street at Sunday Afternoon Salsa. 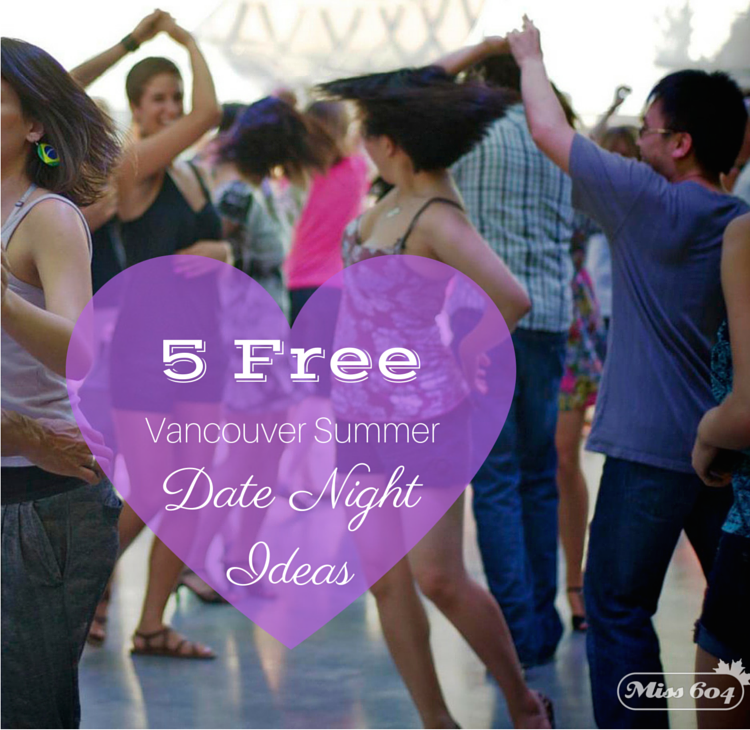 Robson Square vibes with great music as you are invited to take a free beginner salsa dance lesson with some of Vancouver’s best instructors. This is followed by a dance show and social dance. After the lessons and performances, hundreds of salsa dancers, young and old, join in the fun. Sunday Afternoon Salsa is open to everyone. Now in it 81st season, Kitsilano Showboat is a Vancouver tradition! Free performances on Mondays, Wednesdays, Fridays and Saturdays round out your day at the beach with beautiful sunset and city backdrops. It runs from June to August, with live entertainment that is diverse and vibrant. Tango, country dance, performing arts, orchestra, chorus, violin, brass, and much more. 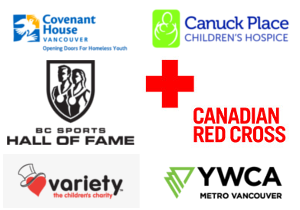 All programs start at 7:00pm and the Kitsilano Showboat is free to enjoy but donations are very welcome. 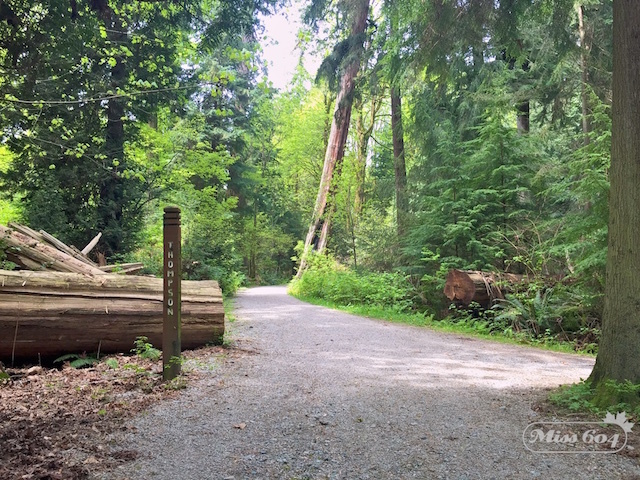 You can start small by exploring some of the 25km of trails within Stanley Park (and popping into the Stanley Park Nature House for a free info session) or amp up your date day experience. 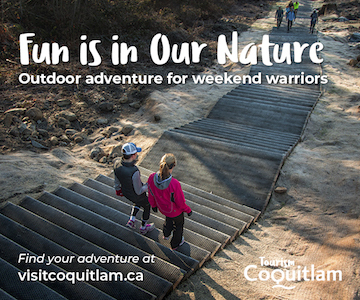 Hike Quarry Rock near Deep Cove for some great views and follow it up with a dip in the water or the free Cates Park Concert Series). Get some Instagram-worthy shots with a waterfall hike, or go bigger with a St Mark’s Summit hike. Fresh Air Cinema hosts dozens of free outdoor movies nights across the province each summer, usually from July to September. 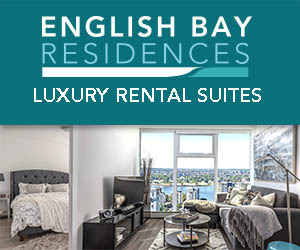 In Vancouver, there are movie nights at Second Beach in Stanley Park, the perfect way to cap off a picnic in the park, or date day on the beach. Earlier in the summer there’s the free Khatsahlano Street Party, Car Free Day, Italian Day on the Drive, and Canada Day festivities, and Latin American Week in Vancouver. 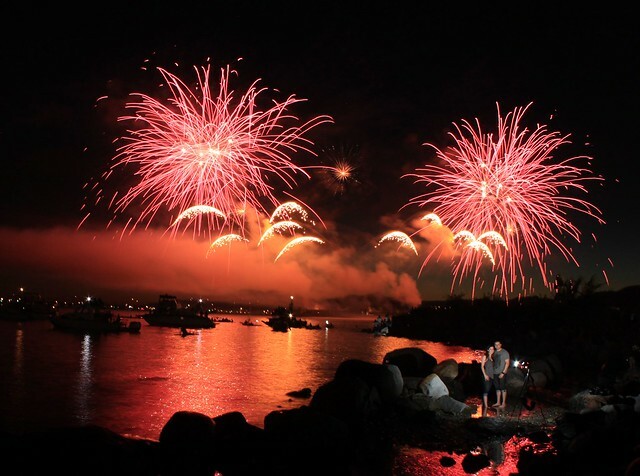 There’s also the Honda Celebration of Light fireworks festival, with free SHOREfest concerts, and coming up in August, the Vancouver Mural Festival will have a free concert (with Hey Ocean! Willa and The Katherines). Pride Week will also include several free events including the Vancouver Pride Parade and Sunset Beach Festival. If you like history: Do one of the free Summer Tours of the Historic Orpheum, or do a free Heritage Walking Tour on Fridays & Saturdays. If you like music: The Vancouver Metropolitan Orchestra is doing a free outdoor performance at Jack Poole Plaza on August 4th, and there’s free music at the Lonsdale Quay Summer Concert Series on Sundays. 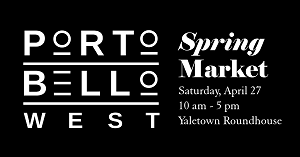 You can also win your way into some great events by following Miss604 contests and subscribing to my weekend events newsletter.